On Friday, April 27, the ARCS Foundation, Metropolitan Washington Chapter (MWC) celebrated its 50th anniversary and recognized Charles O. Holliday, Jr. Chairman of Royal Dutch Shell, for his contributions to advancing science in our nation. This dinner event was part of the ARCS Foundation, All Member Conference (AMC), "Scientific Innovations for the Next Generation," held April 25 - 28 at the historic Willard Hotel. At a time, when it is more urgent than ever for citizens to support the work of scientist, MWC honored its 2018 Eagle Awardee and highlighted the hisotry and accomplishments of this chapters on its 50th anniversary. MWC was founded in 1968 by women from the District of Columbia, Virginia, and Maryland. MWC is an integral part of a national organization committed to supporting the ARCS Foundation mission of advancing science and technology in the United States by providing financial awards to academically outstanding United States students studying to complete degrees in STEM fields. Members of the ARCS Foundation and MWC are all volunteers who donate their time, efforts and financial support. 2017 Eagle Award presented to local leaders for STEM education. Dr. Marcia McNutt, President of the National Academy of Sciences, was recognized for her achievements spanning a diverse career in the public sector and academia. She previously served as the director of the US Geological Survey, overseeing estimation of the flow rate of the Deepwater Horizon oil spill, the CEO of the Monterey Bay Aquarium Research Institute, and has held leadership and faculty positions at top institutions including MIT and Stanford. Marillyn Hewson, Chairman, President and CEO of Lockheed Martin, was recognized for her championship of STEM-related causes and for the company’s philanthropic support to many non-profit STEM outreach programs, included in the ARCS Scholars program. In her role, she leads a company of 97,000 employees whose mission is to solve complex challenges, advance scientific discovery and deliver innovative solutions to help their customers keep citizens safe. During their annual spring meeting, ARCS-MWC leaders highlighted how the public and private sectors complement each other’s actions to advance progress in the United States, especially during today’s increasingly budget-conscience times. Each honoree shared their perspective on the importance of helping young people pursue STEM careers and the ARCS Foundation’s role in that responsibility. Since its inception in 1968, ARCS-MWC has provided nearly $7 million in scholarships to 375 U.S. citizen scholars studying STEM fields at area Universities: Johns Hopkins University, The George Washington University, Georgetown University, the University of Virginia, and the University of Maryland. ARCS-MWC funds all operating expenses through member dues and contributions so that 100 percent of all funds raised for awards directly supports the scholars. If you would like to contribute to the advancement of STEM in the U.S. please contribute via the donate button located on this web page. 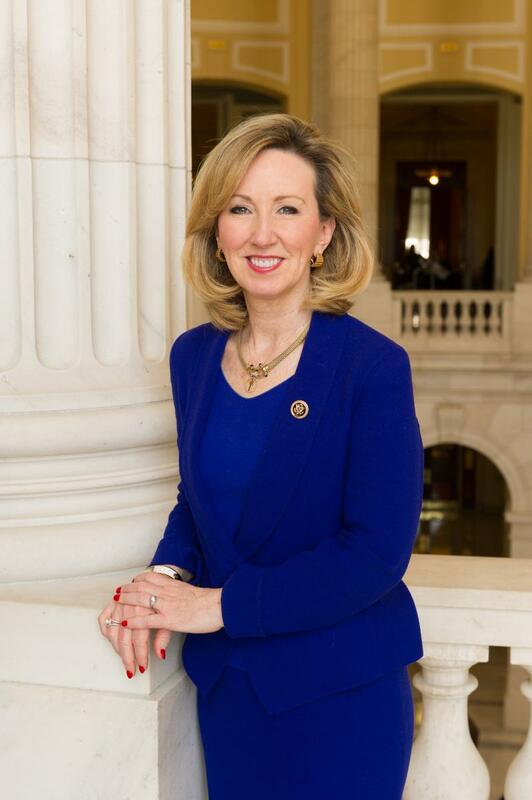 Congresswoman Barbara Comstock (VA-10), a strong supporter of STEM education, was awarded ARCS Metropolitan Washington Chapter’s (MWC) 2016 Eagle Award on April 19, 2016. Currently, Chairwoman of the Subcommittee on Research and Technology of the Science, Space, and Technology Committee, she continues the leadership role she demonstrated as Chairwoman of the Science and Technology Committee of the Virginia House of Delegates. She also introduced the INSPIRE Women Act (H.R. 4755) which passed in March 2016. The act promotes expanded use of NASA programs to promote STEM education for women and girls to advance the future competitiveness of U.S. science and space exploration. In 2013, she founded “The Young Women’s Leadership Program.” High school and junior high school students learn from women role models throughout the Washington, D.C., region, including on Capitol Hill. Congresswoman Comstock is also the daughter of long-time MWC member, Sally Burns. Congresswoman Comstock says “I am honored to receive the ARCS Foundation’s Eagle Award for advocating for STEM education and STEM jobs. In order to have a vibrant economy that provides opportunity and prosperity for all we must be the leader in STEM fields. ARCS scholarships provide essential support in creating opportunities to a career path for those who desire to find the next cure for a disease or create the next technological advance that will change the world. 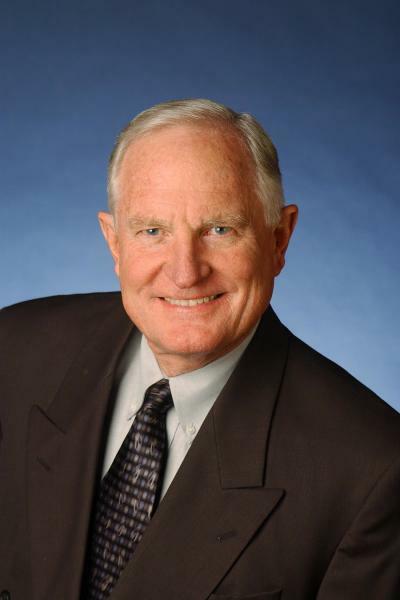 Craig Barrett received BS, MS and Ph.D. degrees in Materials Science from Stanford. He was a Fulbright Fellow at Danish Technical University and a NATO Postdoctoral Fellow at the National Physical Laboratory in England. Dr. Barrett joined Intel in 1974, was promoted to president in 1997, CEO in 1998, and chairman in 2005, a post held until he retired in 2009. Dr. Barrett is a leading advocate for improving education and for raising awareness of the value of technology in elevating social and economic standards globally. He chairs Change The Equation (a national education science, technology, engineering, math [STEM] coalition), BASIS Schools, Arizona Ready Education Council, STAND for Children Arizona, Skolkovo Foundation Council, National Forest Foundation; co-chairs the Lawrence Berkeley National Laboratory Advisory Board; vice chairs Science Foundation Arizona; and serves on the Boards of Achieve, Society for Science and the Public, K12, Arizona Commerce Authority, Carnegie Institution for Science, Geothermic Solution, Impele, Tallwave, Team4Tech, and the Peterson G. Peterson Foundation. Dr. Barrett is on the faculty of the Thunderbird School of Global Management and is Chairman of the Irish Technology Leadership Group. Previously, Dr. Barrett chaired the National Academy of Engineering, the UN Global Alliance for Information and Communication Technologies and Development, the Business Coalition for Student Achievement, the National Innovation Initiative Leadership Council, and served as a member of the Board of Trustees for the U.S. Council for International Business and the Clinton Global Initiative Education Advisory Board. 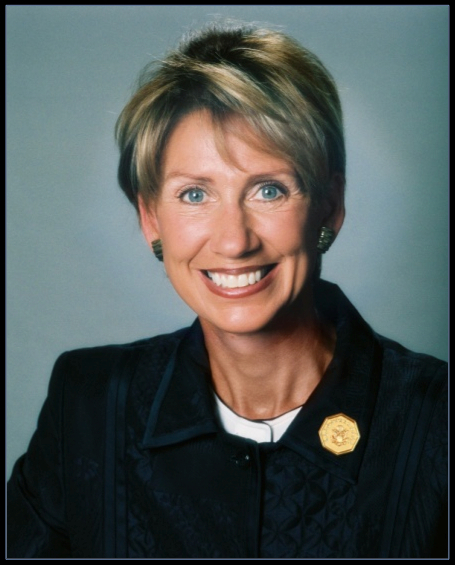 Barbara Barrett is Chairman of the Aerospace Corporation and serves on the governing boards of Caltech, Sally Ride Science, RAND Corporation, Smithsonian Institution, Horatio Alger Association and Lasker Foundation. Previously, she was Interim President of Thunderbird School of Global Management, U.S. Ambassador to Finland, a Teaching Fellow at Harvard, CEO of the American Management Association, a partner in a large Phoenix law firm, an executive at two Fortune 500 companies, and a member of the boards of Raytheon, Exponent, Piper Aircraft, Space Foundation, Hershey Trust and Mayo Clinic. She was Senior Advisor to the U.S. Mission to the United Nations, Deputy Administrator of the Federal Aviation Administration and Vice Chairman of the Civil Aeronautics Board. Barbara earned her bachelor, masters and law degrees at Arizona State University and honorary doctorates from six American universities. She received the highest awards given to civilians from the Office of the Secretary of Defense and the Federal Aviation Administration. An instrument-rated pilot, Barbara trained at the Gagarin Cosmonaut Training Center in Star City, Russia, and Baikonur Cosmodrome in Kazakhstan, culminating in certification as an astronaut. Barbara and her husband, Craig, live in Arizona and own Triple Creek Guest Ranch, ranked one of the top hotels in the world. The Metropolitan Washington Chapter annually bestows the Eagle Award to individuals whose efforts and interests have supported the mission of the ARCS Foundation in our community. This award has been bestowed since 1985 and is presented each year at our Spring Gala.